The year is 1910. For the past decade, the Averley family has lived a life of luxury in India, but now they must return to Lord Averley's ancestral estate, the sprawling, majestically beautiful Somerton Court. As the household staff hastily prepare for the family's arrival, they receive shocking news: Lord Averley is bringing back a fiancée with three children of her own, and on top of that, there are rumours of a terrible scandal surrounding Lord Averley's resignation as Lieutenant Governor of Bengal. As the family settles in, tensions arise both upstairs and downstairs. Lady Ada must choose between her honour and her heart, Sebastian must fend off ruinous threats from a former servant (and lover...) and gentle housemaid Rose will find herself at the centre of a scandal so enormous it could destroy the Averleys' reputation forever. Secrets & Sapphires (aka Cinders & Sapphires in the US) is a delicious read full of intrigue and scandal! After a decade spent in India the Averley family are returning to Somerton. Lord Averley is to be wed to Fiona Templeton and this means that his children, Ada and Georgina, have to learn to adjust and get along with their new step-siblings - the cruel and ambitious Charlotte, mischievous Sebastian and boisterous Matthew. Ada longs to study at Oxford, but her father would rather see her marry well. Sebastian has to fend of threats of exposure from a former valet (and lover). Rose has been promoted to a lady's maid but can she handle the responsibilities that come with it? 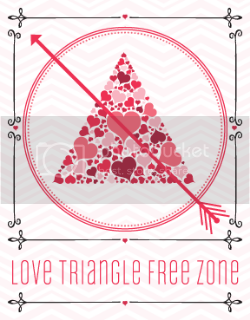 As tensions arise both upstairs and downstairs love, scandal, and drama ensues. The story is told from multiple points of view, and this is one of those books where it actually works. The individual arcs flowed seamlessly together and each voice was distinctly different from the other. Rasheed has a lush writing style, and her portrayal of the characters is well thought out for the time period. On their journey back to Somerton Ada stumbles upon Ravi, a handsome, young Indian who happens to be traveling to England to study at Oxford. Although they're from different worlds the two hit it of. Ravi isn't like other young men - he doesn't look down at Ada for wanting to be independent and have an education. Their paths continue to cross once they arrive in England, but alas their romance is forbidden so they have to revert to secretly sending letters to one another. But soon Ada realises that she has to make a decision, she has to choose between what she wants and what is expected of her. I really enjoyed Ada's story, kind and passionate she was a character I could easily connect to and empathise with. The romance between Ada and Ravi was, imo, a bit bland. I wish it had been slowed down and given more time to develop. I also have to admit that while I liked Ada, Ravi's character fell a bit flat. There is a whole cast of characters that I could mention here, but I've decided to go with Rose and Sebastian. Rose's quiet strength and loyalty never failed to amaze me and my heart ached for Sebastian, especially towards the end. Secrets and Sapphires isn't just about gossip and scandal, though. It also tackles issues such as women's rights, homosexuality, social class, and Imperialism. I loved the exploration into India's tyranny during the British Empire and the two different perspectives we get on it from Ada and Ravi. On a side note I liked that there was diversity in this book, it's something that's lacking in YA and I hope to see more of. 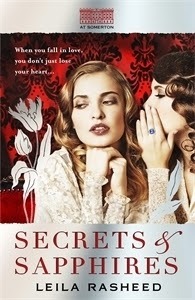 If you're a fan of Downton Abbey I definitely recommend giving Secrets & Sapphires a go. I was eyeing it when I put it on a Friday Forecast. I love a good historical book and I love this time period so I am totally intrigued. I am glad that is more than a light fluffy read and that it deals with some real issues pertinent to the time period. This sounds good! I always like it when an author manages to write a good story with multiple POVs. They can really help you to understand a story better. I think I will give this one a shot! Nice review Renu. This does sounds like a different book, and I mean different in a good way. But I agree with Henrietta, the cover does make it seem like just another of those silly, girly YA we see so often out there. Sounds good. I love a book that does well done multiple POVs. I thought this title sounded familiar, and then you mentioned the UK name which is the same as the copy I got. I am so glad this is good! I like that the multi-pov worked! Great review! I still need to check out Downton Abbey. I like the sound of this one and I love the cover. Glad you liked it! I haven't heard of this one yet. I quite like Downtown Abbey, but I don't think I have read a modern book in that vein. This sounds interesting though, and I didn't realise it was the same as Cinders & Sapphires in US. Honestly, I'm not a fan of title name changes. :P Anyway, I'm glad you enjoyed this! Brilliant review, Renu. Yay! It sounds fabulous. I love Downton Abbey so I'm sold on this story. On my Goodreads to read list now :) Great review. It seems Downton Abbey has made this era much more popular. This isn't a book that especially appeals to me, but I love a well-done multi-pov story. I'm not sure if I'll read this one but it's good to know that the different POVs all blend seamlessly. That's always a concern for me when reading a story with multiple narrators. I'm not sure if this book is for me.. but it does sound amazing :D I'm glad you loved it. <3 Great review! Thank you for sharing sweetie. <3 And yaaay! So glad you decided to buy Jellicoe Road. <3 It is so so perfect. I have heard great things about this book. I'm not typically a historical fiction person, but have found that lately I have been enjoying them. Great review. I may have to try this one. Sometimes multiple POVs really throw me off in a story Renu, I'm so glad to learn that is not the case in this one, and they in fact work really well together. I think I would really enjoy this one, thanks so much for the fabulous review! Did I mention before how much I love your list reviews? If not: I totally do! And I also didn't know that this was another edition of Cinders & Sapphires so I was like, hey those titles sound familiar XD Anyway: I usually have issues with books told from multiple perspectives, but I'm glad it actually worked for this one. It sounds like a good read :) Lovely review, Renu! I was never really into Downton Abbey (I know, I know, I'm weird), but I must confess this sounds interesting even to me. I'm not overly fond of multiple POVs, but I trust you that it works in this case. I definitely want to read this one. I'm actually a huge fan of Dowtown Abbey and I love historical fiction, although I'm weary of YA historicals after reading a large number of disappointing ones. But this one sounds fascinating, and I trust your good judgement of books, Renu! Brilliant review as always!